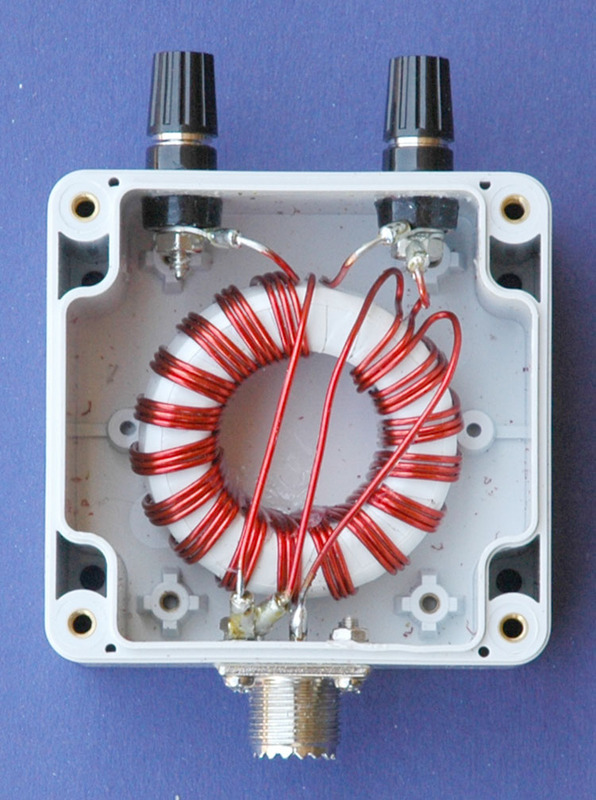 1:1 Ruthroff voltage balun. Install July 2012. Requiring a balun to feed a balanced feed line with an un-balanced T-Match network a 1:1 Ruthroff voltage balun design using a T200-2 Toroid core was selected. While the 4:1 ratio is often referred to for the interface between T-Match network and a balanced antenna system it will often not be the ideal choice when very low impedances are encountered. It is for this reason that I chose to not include the balun as an integral feature of the T-Match network, opting for the flexibility of an outboard balun and the ability to trial various baluns subject to the antenna system and impedances presented. The T-200-2 powdered iron toroid core was tightly rapped in a lay of overlapping PVC electrical tape to prevent the enamelled copper wire's insulation being damaged during winding and to offer some additional electrical insulation with core. The triple bifilar winding of 17 turns are wound evenly spaced around the toroid core with the two individual windings wound close together. The exact number of turns is not critical but the numbers listed in the preceding table should yield good results. It is possible to exceed the power ratings listed above but the performance of the balun may be degraded during high SWR causing heating of the core. 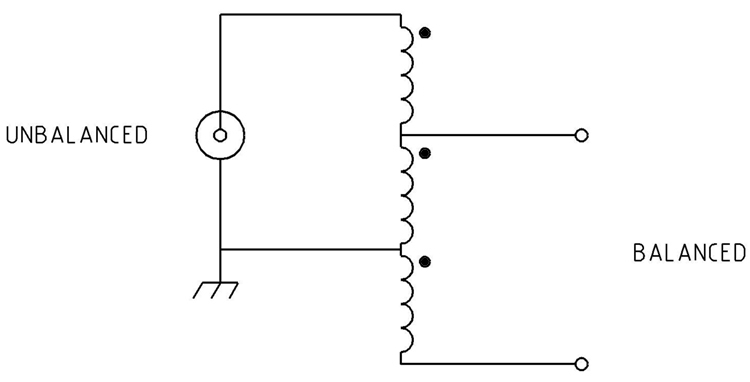 Figure 1 Schematic of the 1:1 Ruthroff voltage balun. Typically unbalanced = 50/75 ohms and balanced = 50/75 ohms. 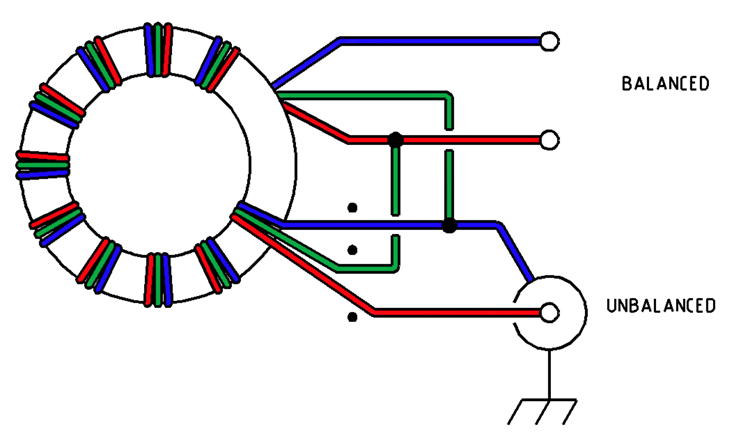 Figure 2 Wiring of the 1:1 Ruthroff voltage balun. Table 1 lists alternative toroid core with winding suggestions. About 600mm of 1.25mm Enamelled copper wire. Photo 1 1:1 Ruthroff voltage balun assembled. Figure 4 AIM 4170C antenna analyser plot viewing a 100ohm resistive load through the Ruthroff voltage balun. Note the 100ohm resistor appears as 100ohms due to the 1:1 balun ratio resulting in an ideal SWR of 2:1. (1) = 1.8MHz & (2) = 30.MHz. An additional evaluation of the efficiency of the balun was preformed by simply measuring the RF power at selected frequencies fed into the balun and measuring the out put power from the balun using the set up shown in Figure 7. For example, RF was applied to the input of the Balun at a frequency of 1.8 MHz at a power of 5 Watts with 4 Watts being measured at the output meter. The below formula was applied revealing a Balun loss of 0.97dB at this frequency. Figure 5 shows the results of measurements taken at various frequencies including the calculated loss. Figure 6 shows the graphed results of the losses verses frequency. Concussion of this evaluation is that the efficiency between 3.5 MHz to 14 MHz is very high as to be unnoticeable and that even at 28 MHz the loss would represent only about half an ‘S’ point. Figure 5 Table of test results. Figure 6 Plot of Balun losses verses frequency. Figure 7 Efficiency evaluation set up.